Cait and Billy (and their puppy Brooklyn!) 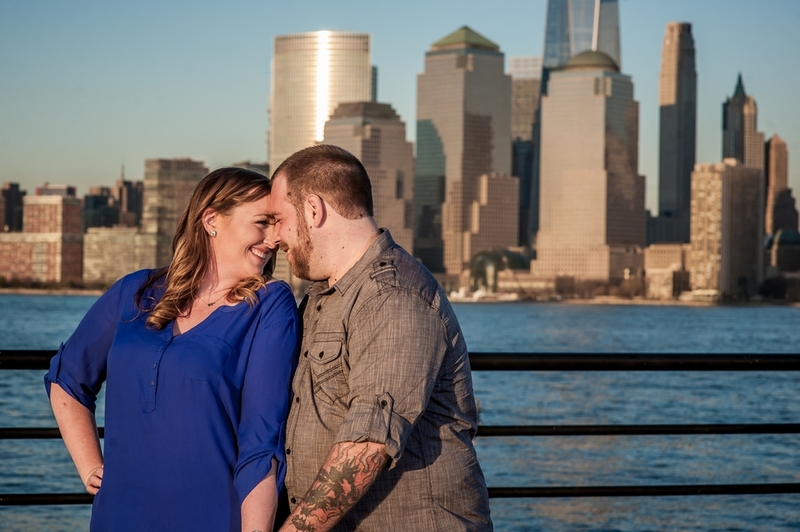 had their engagement shoot last Sunday at the beautiful Liberty State Park, in Jersey City! It was a beautiful - honestly the weather couldn't have been more perfect! We started shooting at 6:30, to get them warmed up to being in front of a camera early enough that when the magical golden hour and dusk arrived, they were ready to go! These two were naturals, so it didn't take long before they were at ease, but let me tell you, the two of them at dusk, with the NY City Skyline in the background, created images I couldn't possibly wait to share!